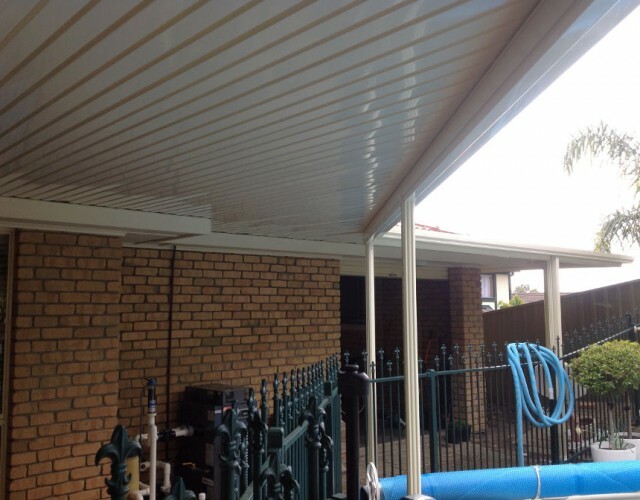 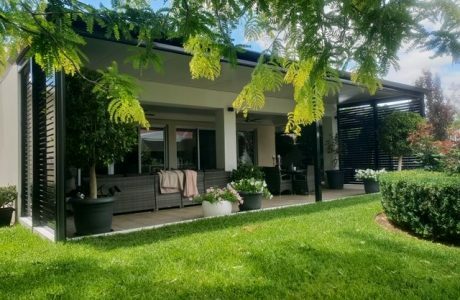 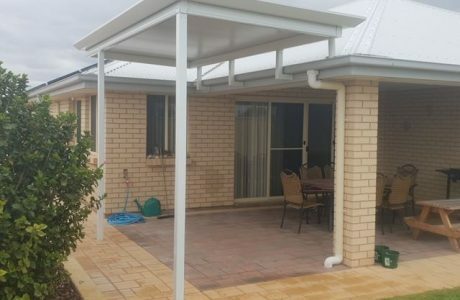 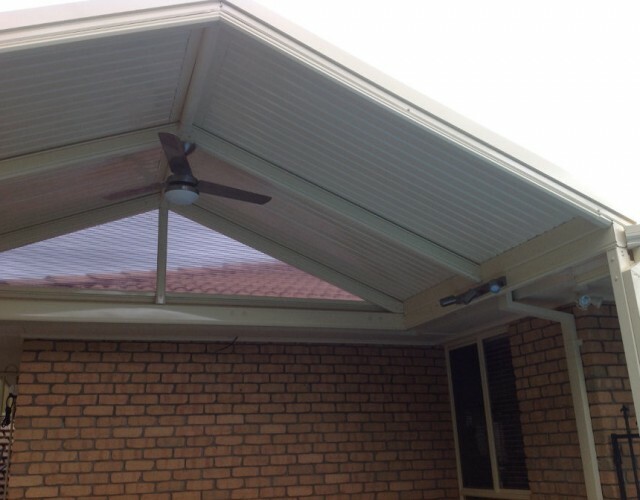 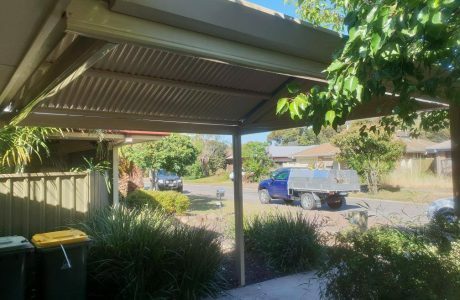 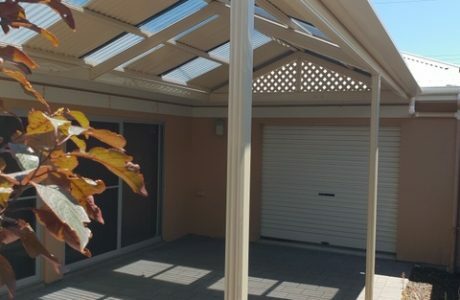 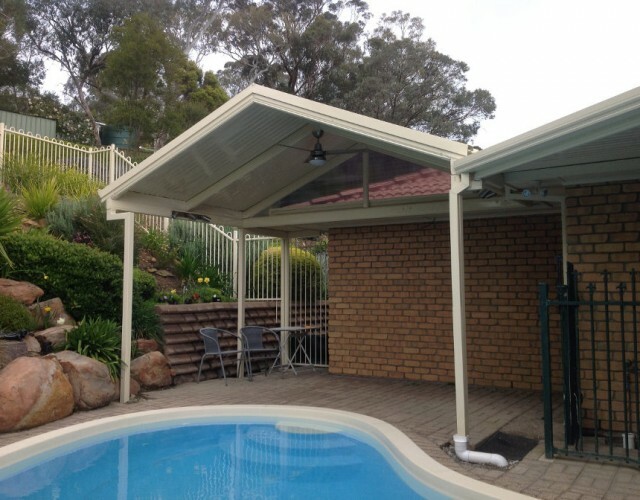 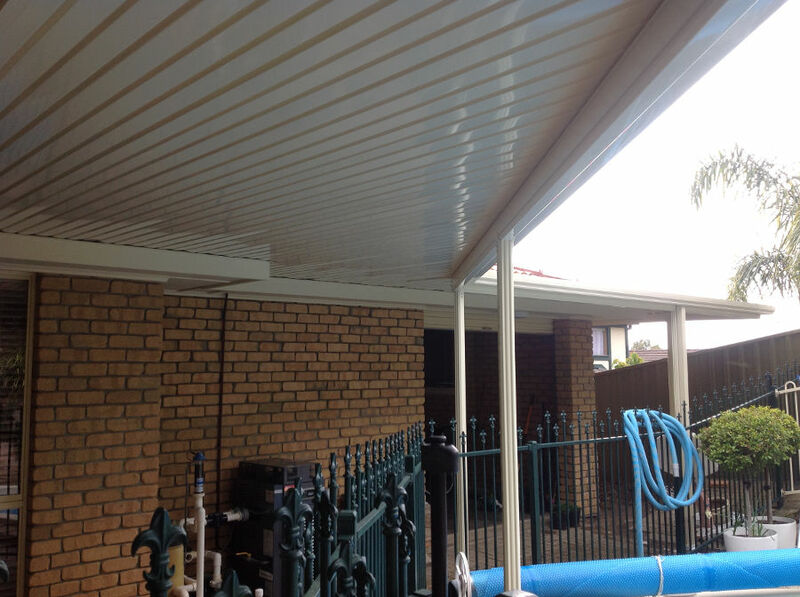 This verandah is a clear span gable roof verandah with an Outback deck being been used on the roof. 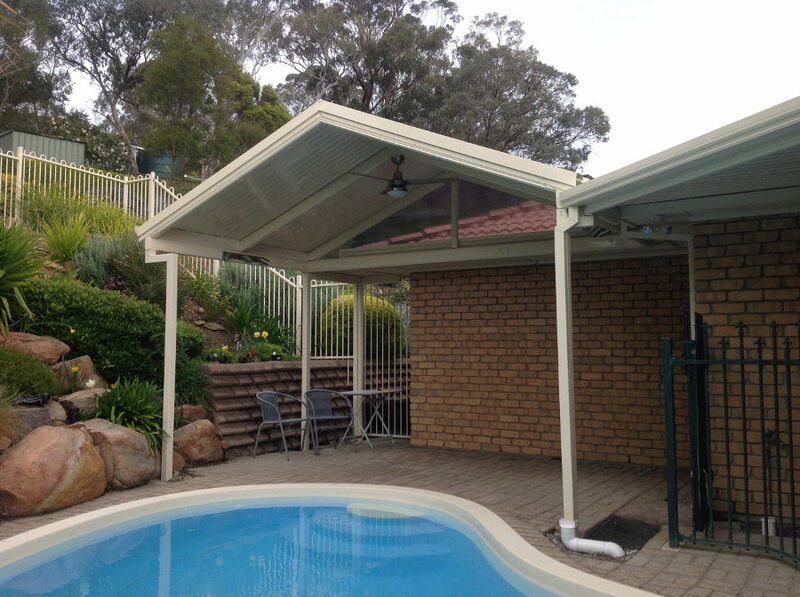 This material allows us to get greater spans without the need for purlins, giving an open and clean look. 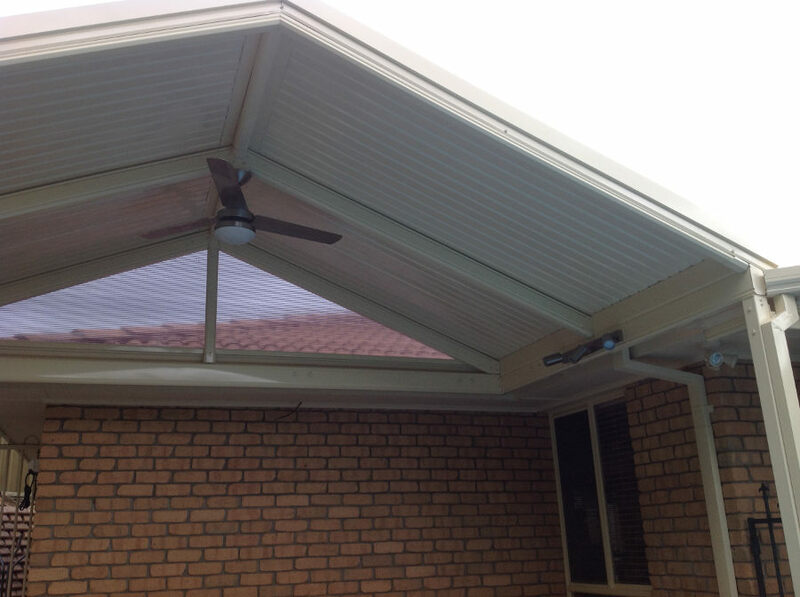 This gable unit has been complimented very nicely with a side and rear attached flat.